Chester's garbage is signed, sealed and delivered. The Municipality of Chester (MODC) and Sustane Technologies announced a new agreement at a press conference on August 12 that will effectively mean the end of garbage being buried at Kaizer Meadow. 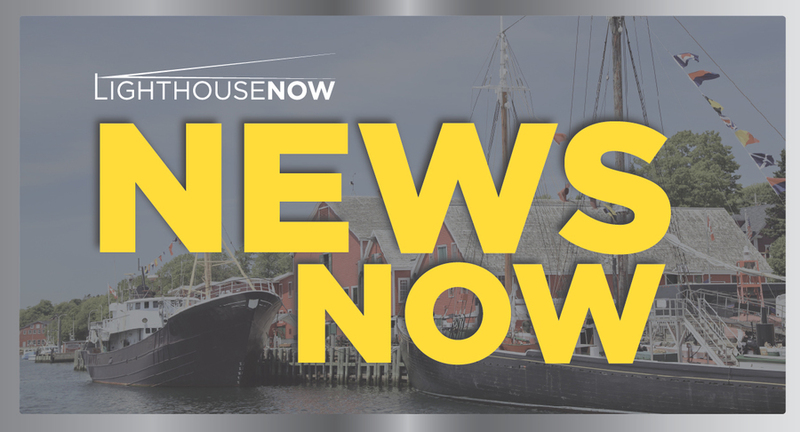 Ninety per cent of the solid waste entering Kaizer Meadow Eco-park, which includes garbage from the Valley and the Municipality of Lunenburg, will go to Sustane's plant to be turned into biomass pellets that will be burned in Emera's biomass power plant in Brooklyn. "The signing of this agreement is a great milestone for us. We've secured our feedstock," Peter Vinall, chief executive officer of Sustane Technologies, told the audience assembled in the municipal chambers. Margaret Miller, Nova Scotia minister of the environment, heralded the partnership as evidence the cooperation between levels of government, industry, innovators and academia is advancing the province's aspirations around the environment and climate change. "In many ways what we're doing here today is not for ourselves, but for future generations and the benefits will be most seen by them," Warden Allen Webber said in his remarks before introducing Jenna Wilson, a Forest Heights Community School student who was representing the student government advisory committee. Construction is expected to begin this fall with the plant becoming operational by late 2017. Vinall said the plant will employ 25 people and be able to run 24 hours a day, seven days a week with two to three people per shift. Other employees will include a maintenance worker and a manager. The deal with Emera is three to five years, said Vinall, with the opportunity to renew, while the deal with MODC is for 20 years. The newly inked deal also brings to an end the fevered activity surrounding Kaizer Meadow that has occupied the municipality for the past number of months, namely changing the zoning designation for the park and allowing for the involvement of heavy industry. But Sustane isn't exactly your father's version of heavy industry. The autoclave to be installed at the plant, where waste is steamed into burnable material, is the second generation of the technology developed by Javier De La Fuente, Sustane's chief technology officer. This latest version captures steam that heats the material, condenses the steam, meaning it reverts to water that is then heated again to produce the steam. But the water is also used initially to wash the plastic before it's processed. "Literally, 25 minutes after the garbage goes in it's gone through," said Vinall. The boilers where the water will be heated will be powered by propane, Vinall said. Eventually, in perhaps six months, the plant will produce enough oil from plastics material that some will be able to heat the plant's boilers, he added. "Think about 20 per cent of the energy in the plastic is enough to run the whole plant and we can sell the remaining fuel. That's a phase two for us," said Vinall. According to Tammy Wilson, MODC chief administrative officer, the lease agreement allotting Sustane a parcel of land, which has yet to be negotiated and signed, will only be for five hectares. The plant, said Vinall in an interview, will likely only occupy half of that area and the rest will be for expansion. "The building is 60 meters by 60 meters and that includes the tipping floor where we would store up to a days [worth] of waste. So it's not a big facility," said Vinall. The technology could also allow for the extraction of garbage that has been previously buried, said Vinall, although doing so will be dictated by economics and necessity. "It's something we're looking at," he said. "The economics of that might be challenging. However, there is a lot of plastic in the ground over there and biomass in the ground. So the way we look at it is that would 'top up' if our plant isn't running at full capacity, we don't have enough coming in any particular day and there's a guy up there on a loader, why not mine it."